The Innovative Finance ISA (IF ISA) was introduced in April 2016, so it’s been around for close to two years now. It was designed to sit between the Cash ISA and the Stocks and Shares ISA. It allows you to put your Peer-to-Peer (P2P) lending inside a tax shelter. I’m a fan of P2P in theory, but in practice the after-tax returns are too low. I have a safe withdrawal rate (SWR) of 3.3% pa. So my target return for “safe” investments (and P2P is not as safe as it’s often made out to be) is 3.3% pa real (after inflation). With CPIH inflation at 2.7% in Dec 2017, that makes my target return 6%. Add in a marginal tax rate of 40% and my target becomes 10% pa.
After defaults, the safe end of P2P rates has settled at 4% to 5%, which is well short of what I need. Of course I appear to be in a minority – only 17% of people need an IF ISA to yield more than 5% pa for it to be attractive. 23% were happy with 5% pa or less. But 60% of those surveyed said they didn’t know what return they would need. Which might be a polite way of saying they aren’t interested at any rate of return. The IF ISA hasn’t got off to a great start, raising just £17M in the first tax year. This was spread across 2,000 accounts, for an average balance of £8.5K. For comparison, Funding Circle alone now raises £36M per month (across all P2P). During the same initial tax year, 2.6M Stocks & Shares ISAs were opened with £22.3 bn in subscriptions. That gives an average balance of £8.6K, similar to the IF ISAs. 2017-18 is expected to be a lot better for the IF ISA, according to HMRC. The slow start is partly down to the main P2P providers (Funding Circle, Zopa and RateSetter) taking a long time to get approval for their products. It also didn’t help that Zopa has been closed to new lenders since early 2017, because of a shortage of quality borrowers. Zopa has recently reopened to new business. There are now close to 30 platforms offering an IF ISA today or in the very near future. They are targeting the £600 bn sitting in low-yield Cash ISAs. 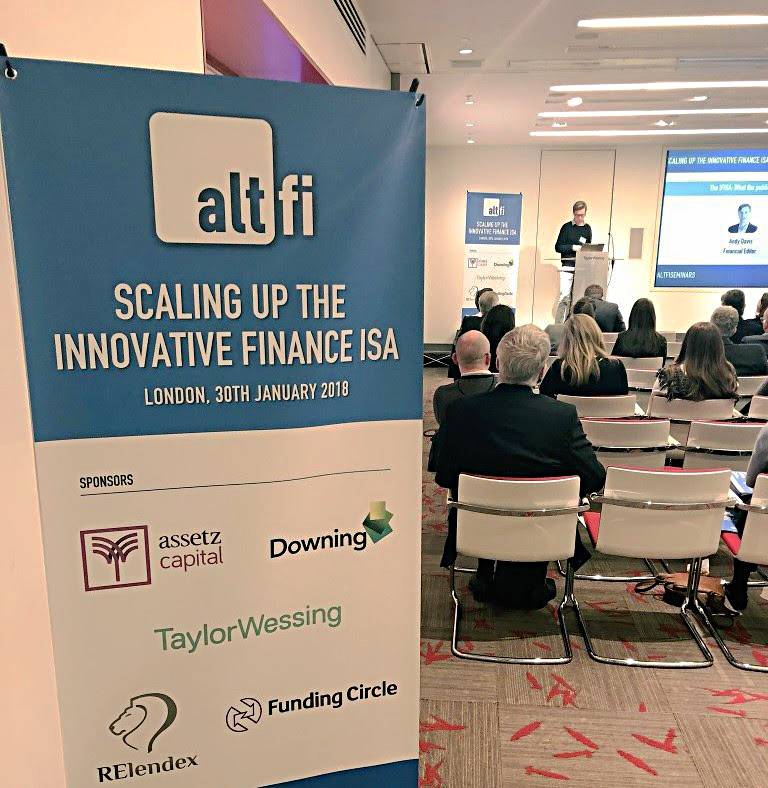 You’ve probably come across Alt Fi before – they are one of the best sites for news coverage of P2P and UK alternative finance in general. Their only serious rival is Orca, who I will look at in a forthcoming post. Orca have plans to become an integrator platform, which could introduce a conflict of interest. One of the leading lights in Alt Fi is David Stevenson, who writes the Adventurous Investor column in the FT, and also has his own blog under the same name. A series of lectures that David gave at SG a few years ago was one of the big inspirations in me starting this blog. David’s events are always a cut above in terms of intellectual stimulation, and this was no exception. It was held in the offices of City law firm Taylor Wessing, and I can recommend the venue. The format of the event was an initial “set the scene” lecture, followed by two panels. 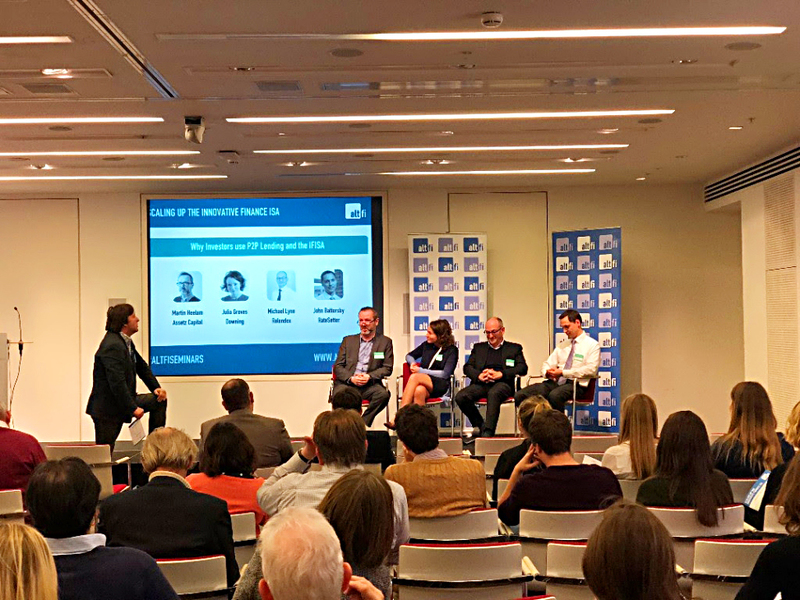 The topic under discussion was how the IF ISA could scale-up to rival Cash ISAs. During 2016-17, Cash ISAs raised “only” £39.2bn, a drop of close to a third on the previous tax year. This was because the introduction of the new savings tax allowance meant that for smaller investors (up to £50K for a higher rate taxpayer, or £100K for a basic rate taxpayer) there was no tax advantage from using a Cash ISA. Andy Davis had been commissioned to write a special report on the state of the IF ISA, and the public perception of it. 2018 is going to be the biggest year yet for the IFISA. There is massive ignorance out there. There’s a hell of a lot of education still to go. 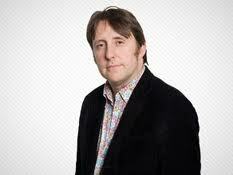 Andy said that IF ISAs are three times more popular with the under 35s. 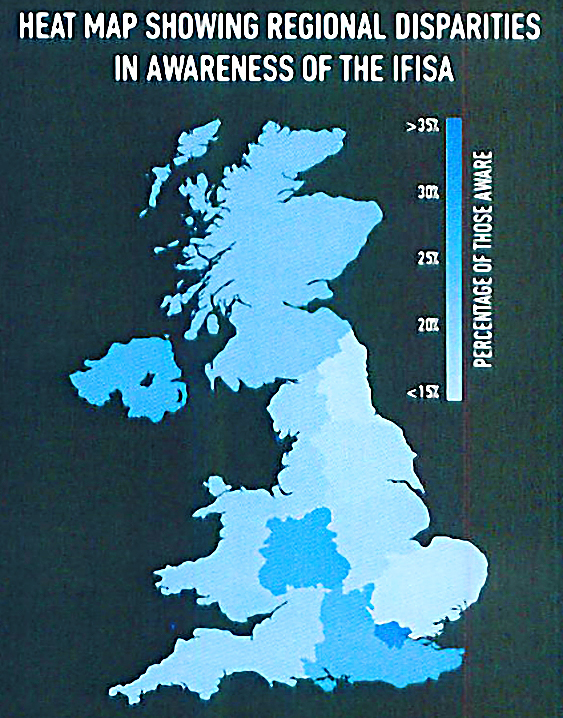 There is also a strong regional divide, with awareness highest in London, Birmingham and Edinburgh (in that order). There’s a gender divide as well, with some platforms reporting that 75% of investors are male. And there’s a social divide too – top social groups were more aware than lower ones. 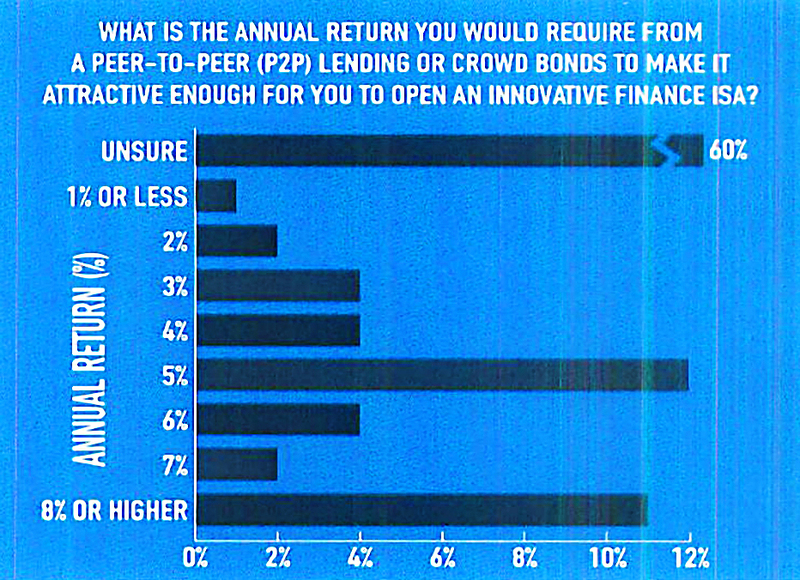 However, one way or another, 50% of new money coming into P2P platforms is now going into IF ISAs. Andy found that only existing P2P investors were really aware of the IF ISA. A survey of 2000 people in December 2017 found that more than 75% of the general population had never heard of it. Just 4% had invested in one, with an average balance of £4.5K. This is lower than the HMRC figures we quoted above, and Andy speculates that this might reflect the growing number of new IF ISAs belonging to younger people with less money to invest. 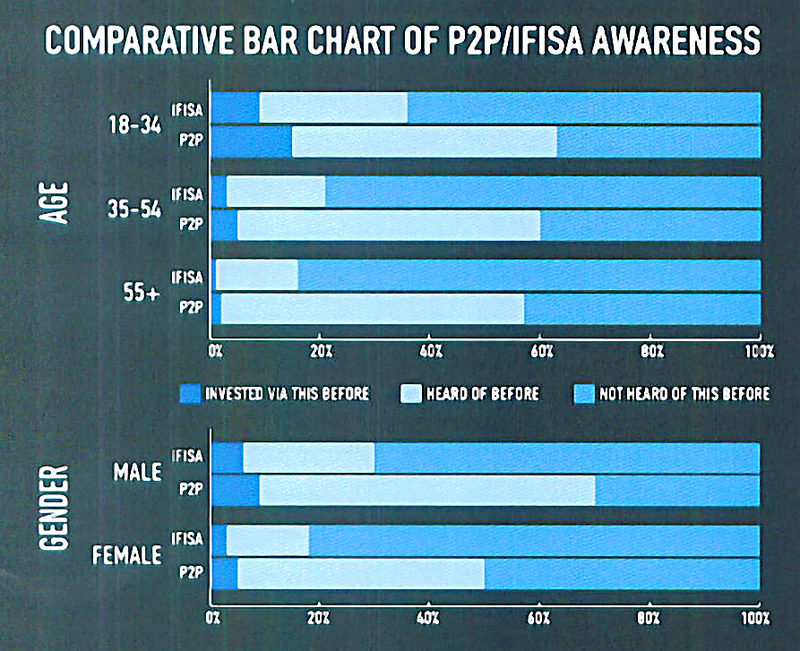 By comparison with the IF ISA in particular, 53% of the population who were aware of P2P in general. 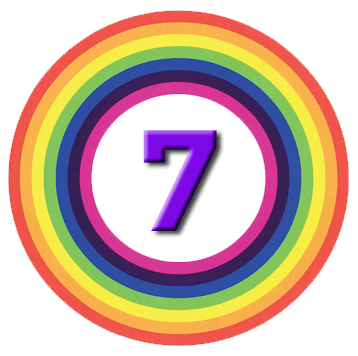 Of these, 7% had invested. Andy said it wasn’t clear whether the tax-break would draw new people to P2P, or whether only existing P2P investors would take advantage of it. 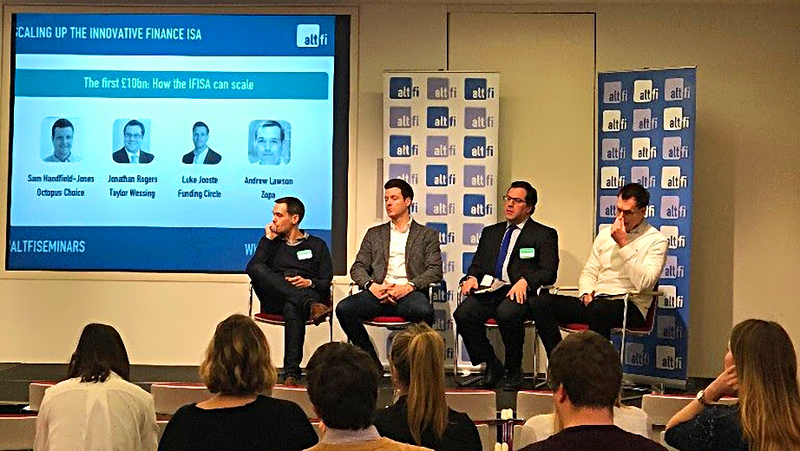 With IF ISA marketing largely limited to the P2P platforms, there’s an element of “preaching to the choir” and awareness of the IF ISA might grow slowly. The transparency and simplicity of IF ISA offers works against them in the IFA market, which needs to be seen to add value to justify its fees. 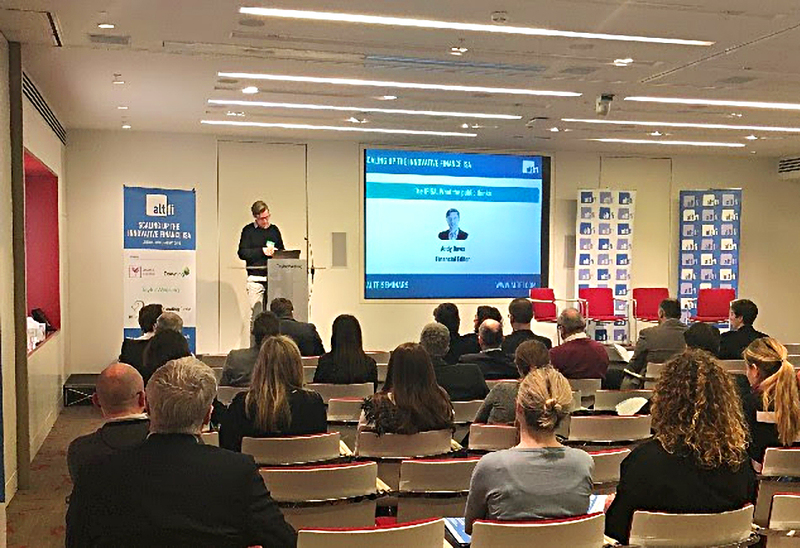 Looked at another way, P2P is a low-risk way for IFAs to increase the proportion of a client’s assets that they advise upon, and hence potentially their commissions / fees. But the majority of IFAs appear to be in the former camp at the moment. Once one person takes up an IFISA, it’s like happy families. People all come in together. We’ve attempted to crack the IFA community for so long, but they’re just not interested. Returns are around 1% for Cash ISAs, and 12% for Stocks & Shares, so we can see the appeal for a middle ground product. At first glance, the IF ISA should bring P2P back into contention as an investment for me personally. It removes the tax deduction problem, bringing my target return down to 6% gross, which is not too much more than many P2P rates. There’s no diversification, as the whole £20K needs to be dumped into a single platform. That means that you’d need around £100K in P2P to achieve reasonable diversification. If I put my money in an IF ISA, I can’t put it in a stocks and shares ISA. I’m in pension withdrawal, and because I live in London (high property prices) my equity allocation is lower than I’d like. I could split my yearly ISA money between P2P and stocks to get closer to what I want. But it would take five years to achieve my diversification target. And P2P rates are too low to make a convincing case for diverting cash from stocks. Aggregator platforms that include all the best P2P offers. Partial transfers (say £5K) from historic Stocks & Shares ISAs into the new IF ISAs. Transfers are possible into some IF ISAs (Zopa for example) but not many ISA providers support partial transfers out. I’d like to see these made mandatory. 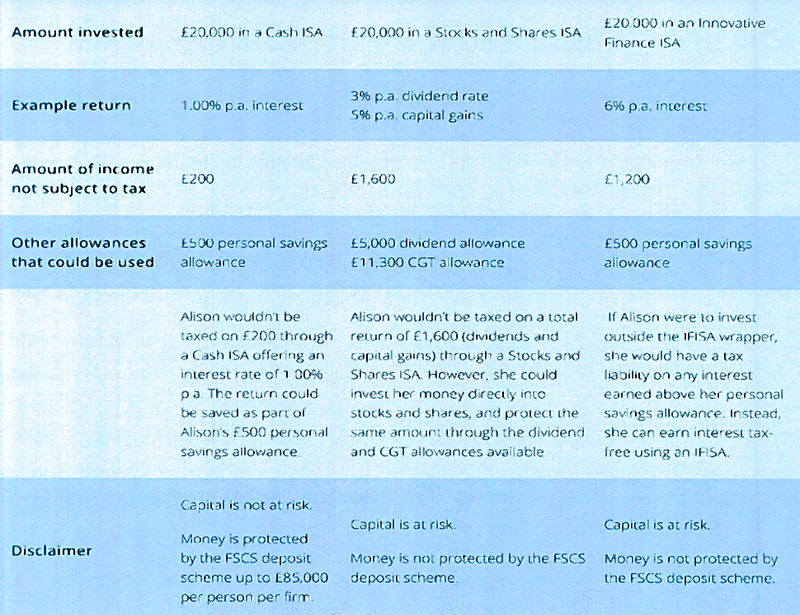 Cash and IF ISAs being split from S&S ISAs, so that you can put £20K in each. They really don’t serve the same purpose and so shouldn’t be alternatives to each other. One is for short-term saving, the other for long-term. The only one of these that looks at all possible is aggregator platforms, which I’ll look at in a later post. I won’t be holding my breath for the other two. In terms of broader appeal, it’s worrying that older people (with more to invest) are not aware. And the potential for rising interest rates to draw people back to Cash ISAs (not just from IF ISAs, but from P2P in general) can’t be ignored. This could work to the advantage of serious investors, removing those investors driven by their dissatisfaction with cash ISA rates, and driving up the quality of borrowers for the rest of us. Some would argue that rising rates will have the opposite effect. If P2P rates stay 3% to 4% above those on cash, the benefits of ISAs over the savings allowance, and of the IF ISA over the Cash ISA will become more clear. I agree Mike, returns aren’t worth the risk from P2P at the moment, I’ll stick with my stocks and shares ISA.